Welcome to the latest preview to our Prop Store Live Auction on 27th September 2016. 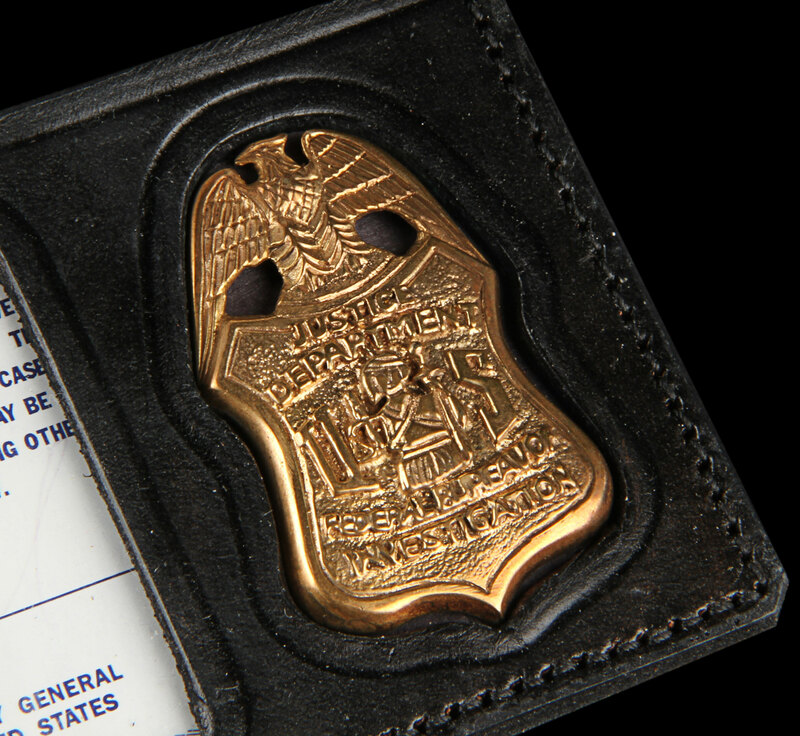 Today’s spotlight is on IDs and Credentials of all shaped and sizes – Some may be photo IDs, some name badges, and some police credentials, but each of these small but perfectly formed pieces of entertainment history tells its own story. 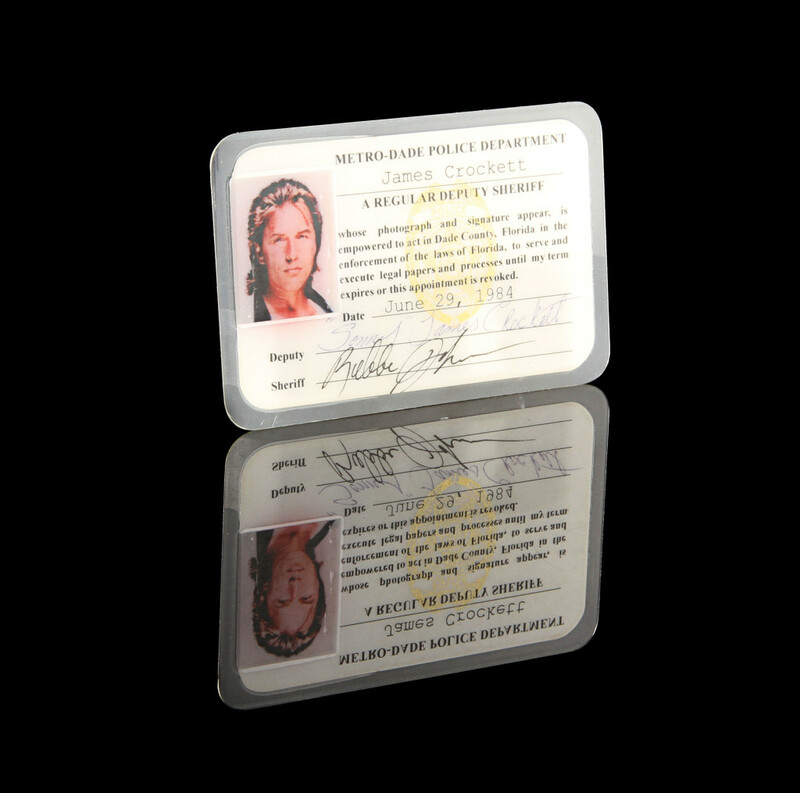 In the forthcoming auction, we will have some of the best IDs that you could hope to find, bringing instant recognition from iconic TV series (such as The X-Files, 24 and Miami Vice) or from some of our favourite classic movies (such as The Silence of the Lambs, Die Hard and Top Gun). Clarice Starling, in Jonathon Demme’s major Academy Award winning The Silence of the Lambs was played by the inimitable Jodie Foster. This famous FBI photo ID that FBI ‘newbie’ Clarice uses when she introduces herself to Hannibal Lecter at Baltimore State Hospital, and also later on when she (unwittingly) arrives at the home of serial killer Buffalo Bill. 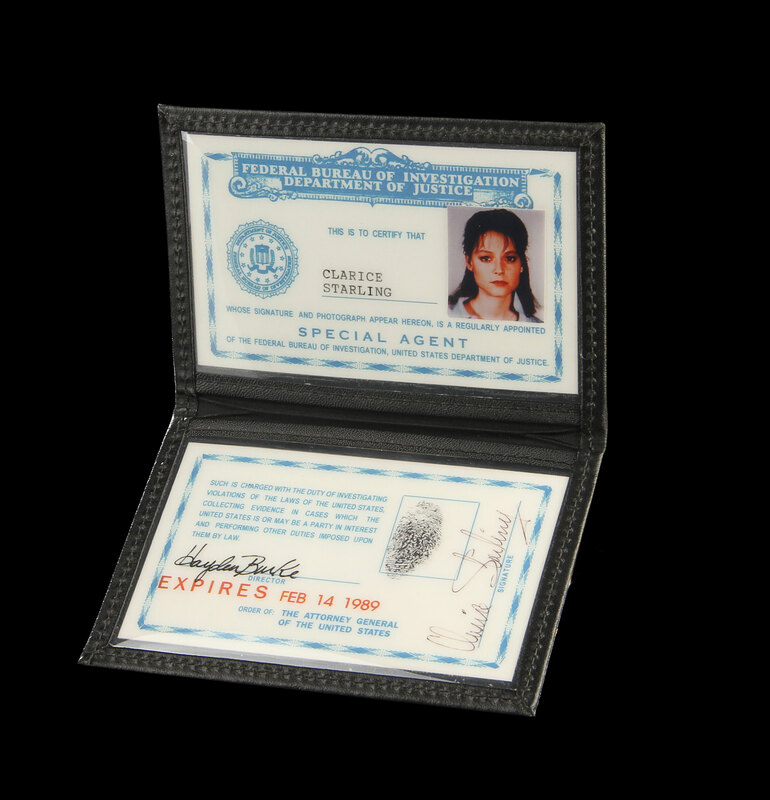 The ID comprises a photograph of Clarice with her name and rank, plus another card with her signature, thumbprint and an expiry date (which alerts Hannibal to the fact that she is, as yet, unqualified). The ID is bound in a black leather wallet and is a definite must-have for any Hannibal fans! 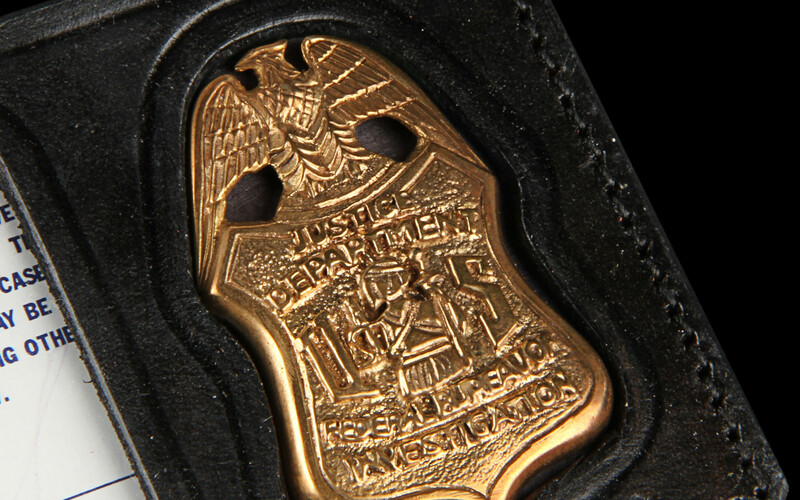 This is the FBI photo ID and badge that Dana Scully (Gillian Anderson) used as her credentials at crime scenes in Season 2 of the hit TV series The X-Files. The X-Files is a perennial TV and movie favourite which is even more in the spotlight recently after the excitement of its recent TV relaunch. 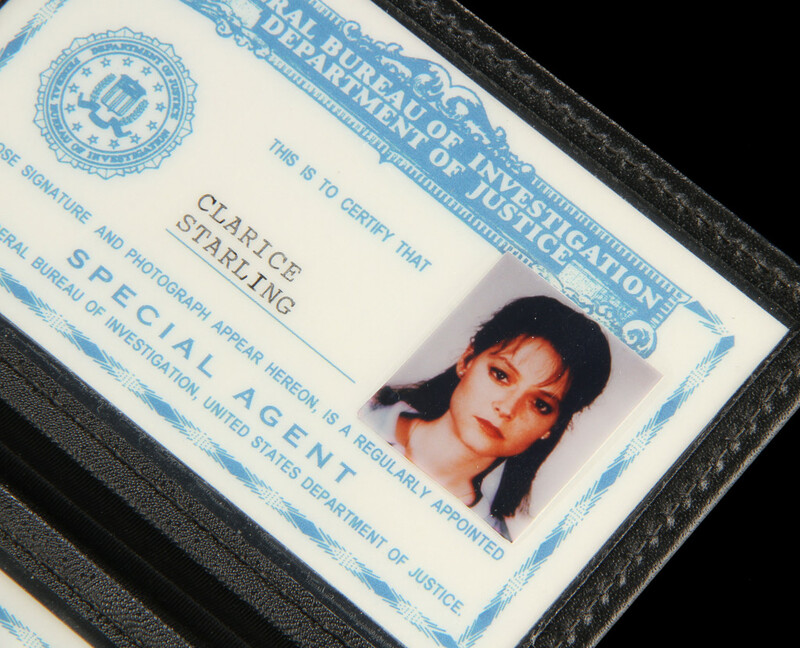 Scully’s ID comprises a metal FBI Justice Department badge, a photo ID card with Scully’s handwritten signature and a second with the Bureau Director’s signature, all contained in a black leather wallet. 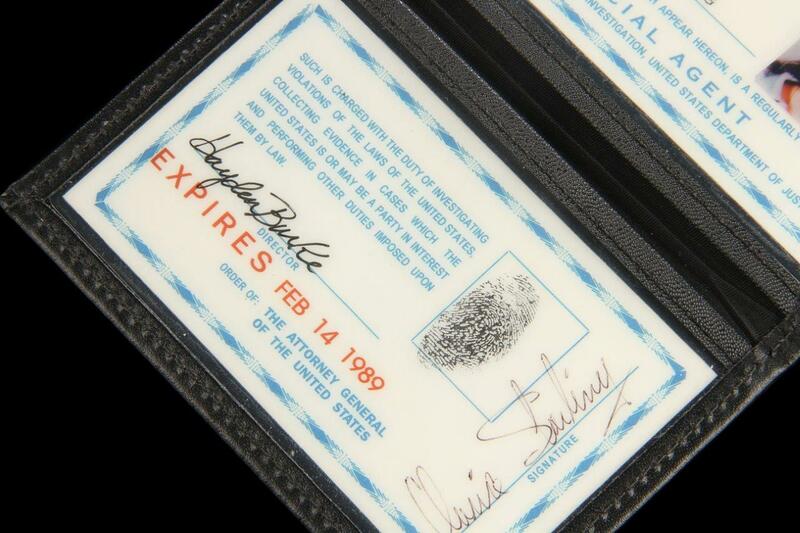 Both this item, and the ID of Scully’s partner which is also for sale at the auction, are expected to be of great interest to any 90s TV fans. 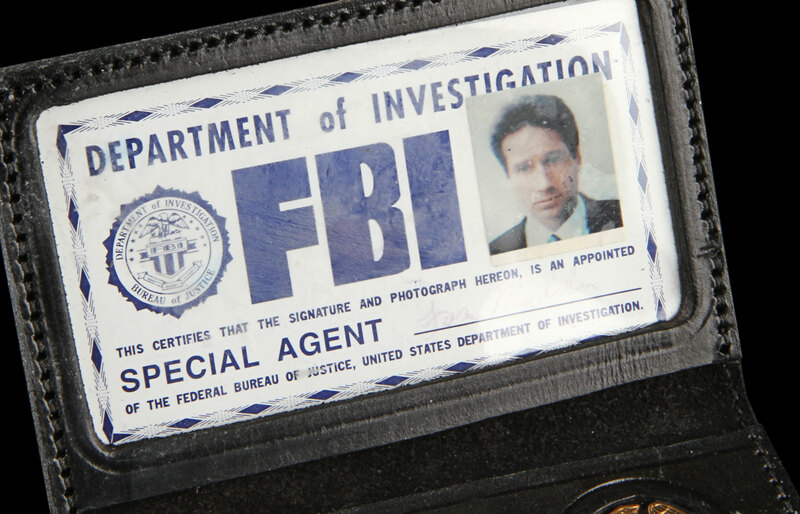 This is the FBI photo ID and badge that Fox Mulder (David Duchovny) used as his credentials at crime scenes from Season 1 of the hit TV series The X-Files. As noted earlier, The X-Files is a 90s fan favourite, which was relaunched for a 10th TV series earlier this year. 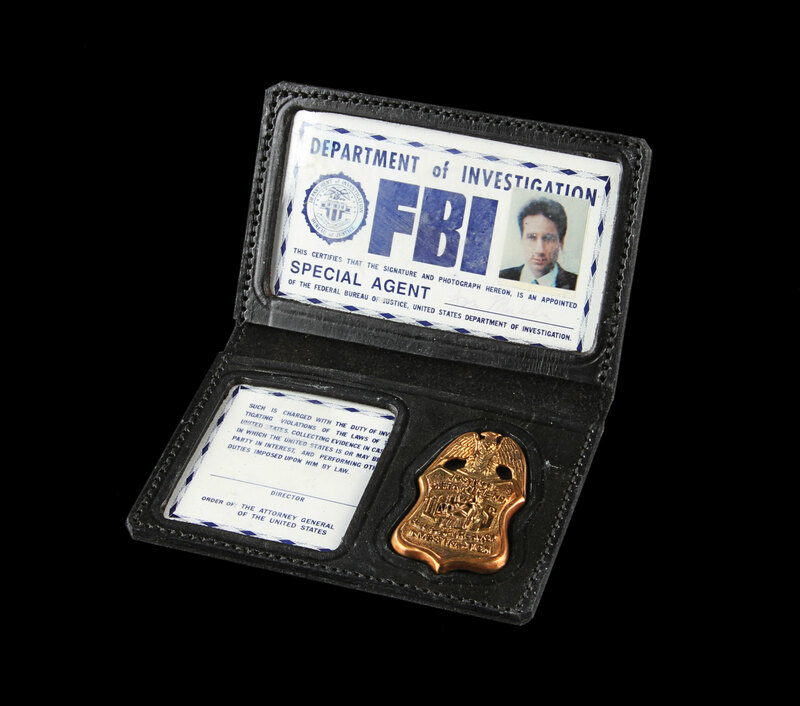 Mulder’s ID comprises a metal FBI Justice Department badge, a photo ID card of a youthful looking Mulder with his handwritten signature and a second with the Bureau Director’s signature, all contained in a black leather wallet. 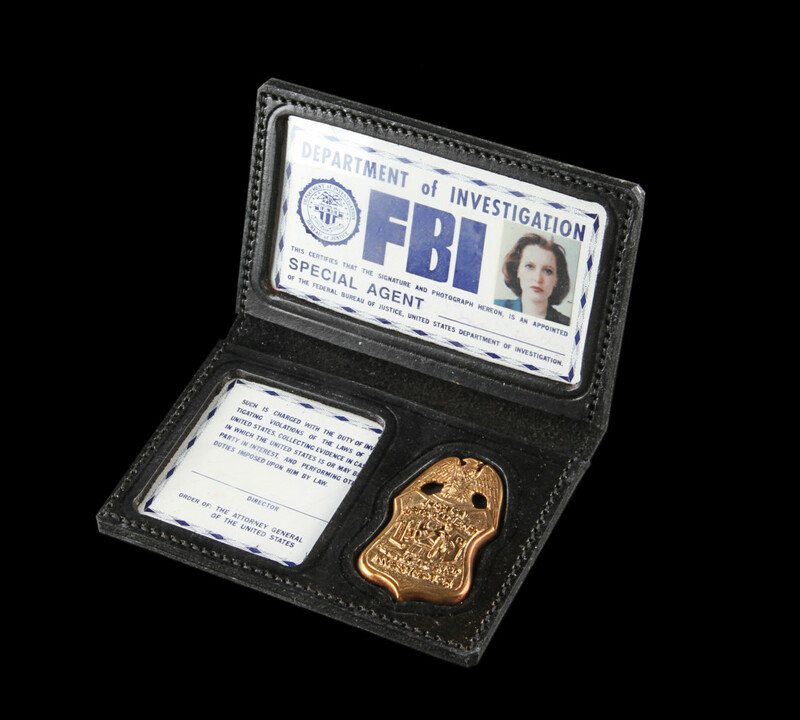 This, along with Scully’s badge above, would be the perfect set for any X-Files fan! 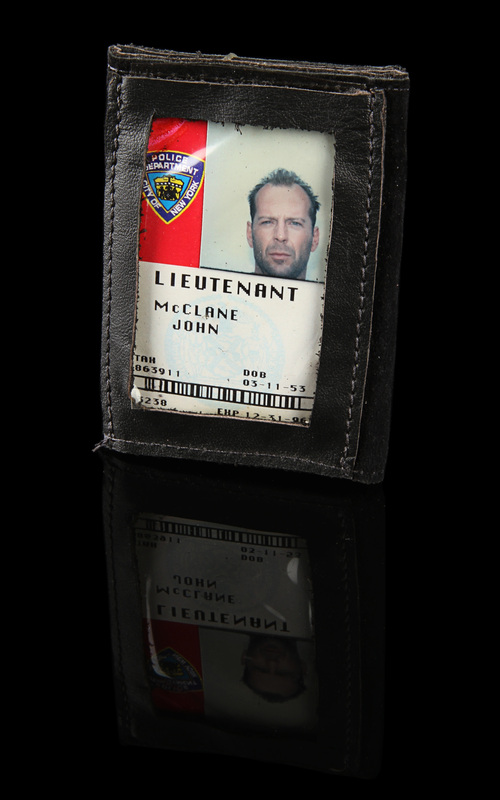 Jack Bauer (Kiefer Sutherland) carried his CTU (Counter Terrorism Unit) ID throughout the eight seasons of the award-winning series 24, as he saved the nation from ever more complex and impossible terrorist threats. It was an innovative and award-winning series which has spawned many imitators, but the original remains justly popular. 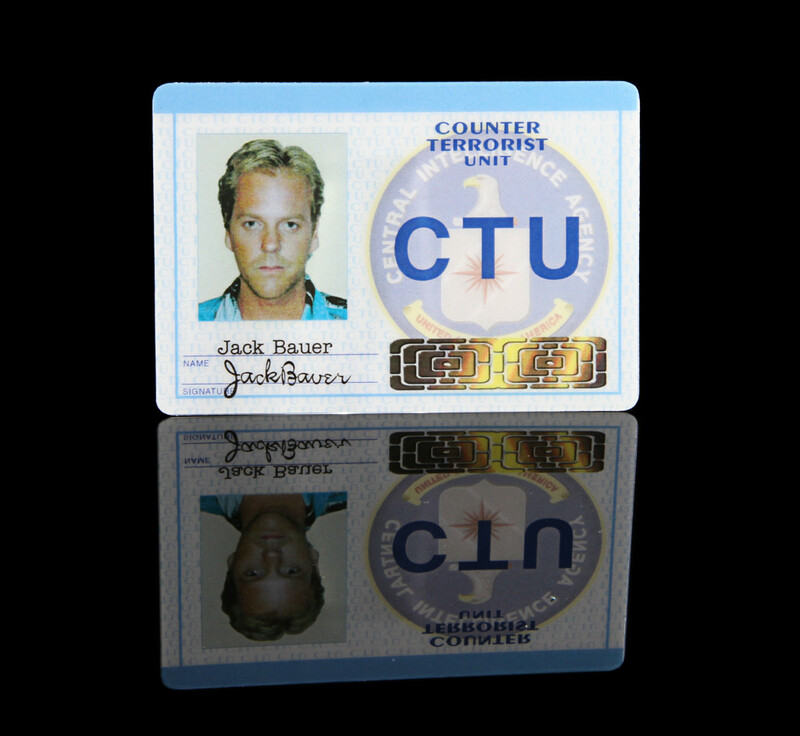 This is a laminated phot ID card bearing a printed microchip with Jack’s photo, his name and signature, and the CTU logo, and is a must-have collectable for any Jack Bauer fans. John McClane (played by Bruce Willis) established an import part in action movie history as the ‘everyman’ hero in the Die Hard film series. Die Hard: With a Vengeance was the hugely popular 1995 sequel, in which the humble NYPD cop once again saves the day. 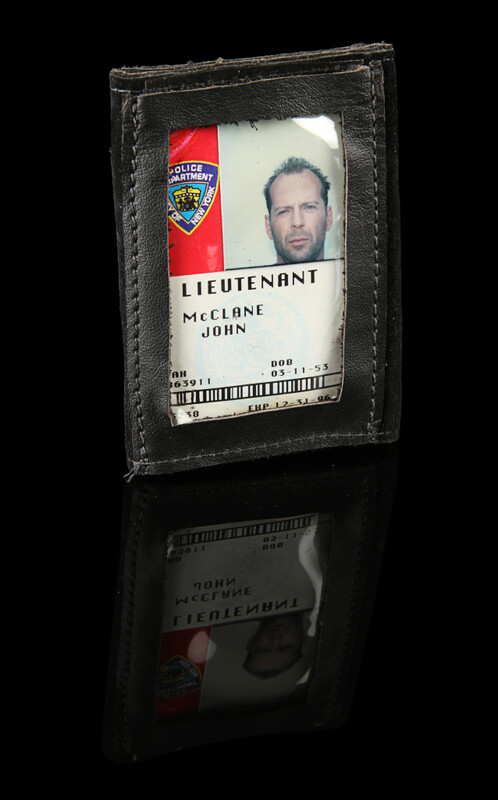 McClane’s police ID is a black leather wallet with brass stud fastening, and contains his laminated NYPD identification card, with his photograph, name, rank, date of birth and tax number. Terrorist Simon Gruber (played by Jeremy Irons) was a fitting opponent for John McClane in Die Hard: With a Vengeance, and is remembered as one of Hollywood’s favourite English baddies. The item for sale is the wallet he uses, containing a fake ID which allows him to pose as city engineer Bob Thomson and screen matches to the scene after the destruction of the subway tunnel. 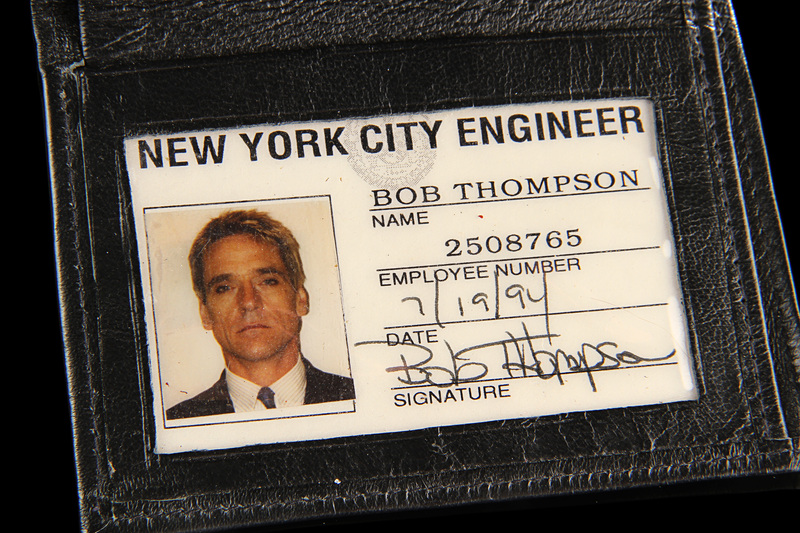 The black leather wallet contains Bob Thomson’s laminated New York City Engineer ID card and photograph. 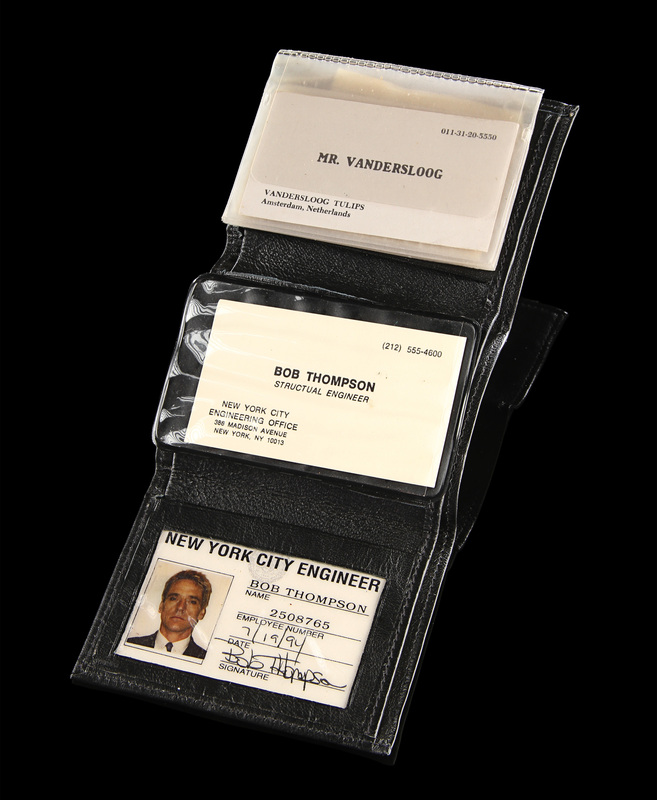 However, the wallet also contains a business card for one of Gruber’s other aliases, Mr Vanderfloog (misspelled as ‘Vandersloog’) the tulip famer, plus a business card for Felix Little, Vice-President of the Federal Bank of New York. 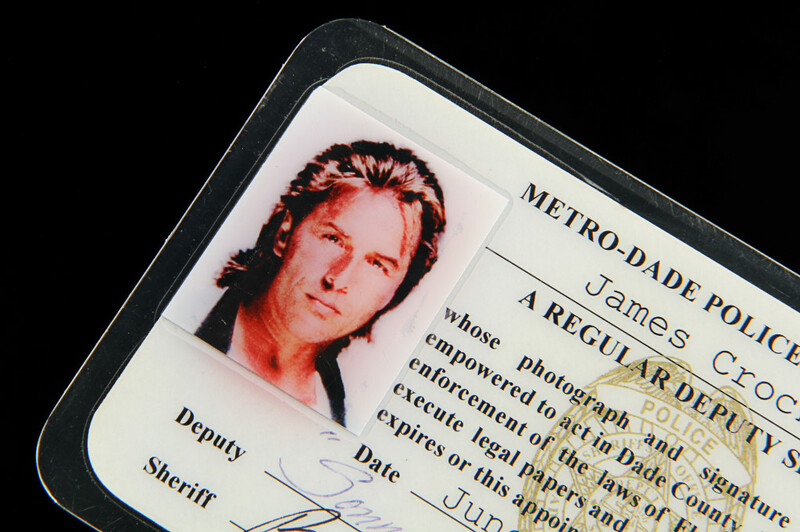 From the original Emmy-winning TV series Miami Vice, this is the Police Photo ID of the main character, Detective James Crockett, played so memorably by Don Johnson – the man who made white suits with rolled up sleeves de rigeur! 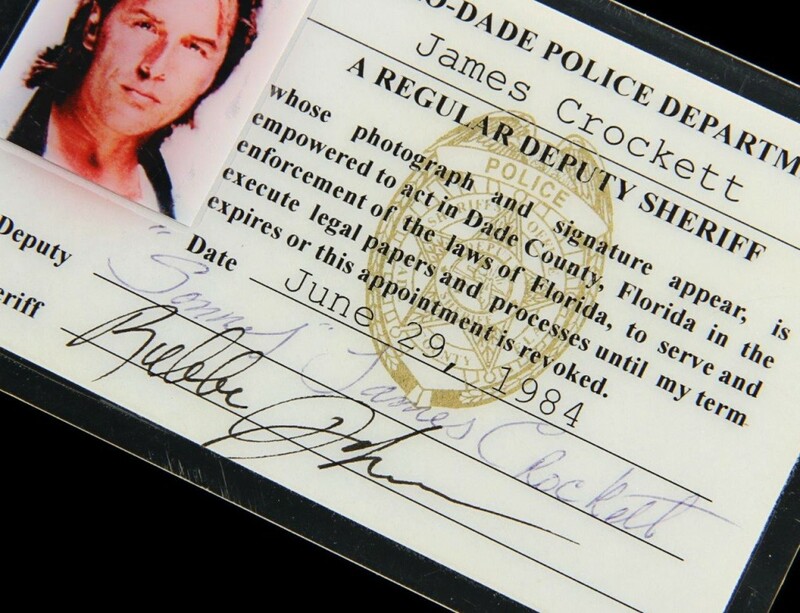 The laminated ID has Crockett’s photograph, name, handwritten signature and Metro-Dade Police Department logo, and is dated 29th June 1984. 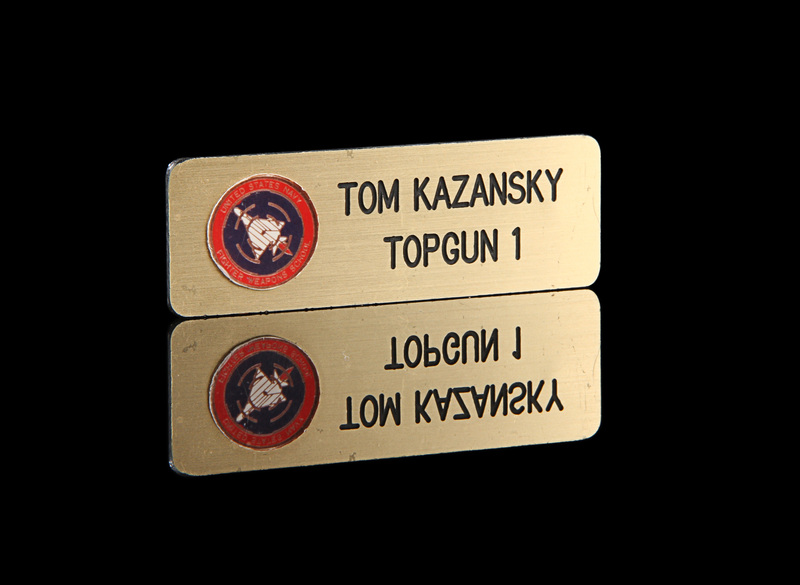 Val Kilmer, in his role as Tom ‘Iceman’ Kazansky in Top Gun, wore this badge as part of his dress uniform and also in the classroom scenes in the film. The plastic badge has ‘Kazansky’ and ‘Top Gun 1’ on the front plate and an applique with the emblem of the Fighter Weapons School on the left.  Iceman’s badge has a faux-gold finish and two pins to attach it to his costume. 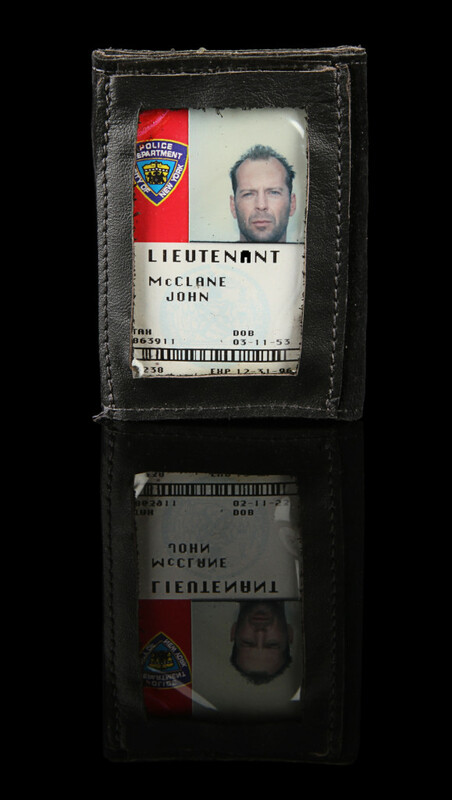 These amazing film and TV prop IDs and Credentials will be available in the upcoming Prop Store Entertainment Memorabilia Live Auction, so Register Now to make sure you are kept up to date will all the latest auction information and more! And don’t forget to check back at the Prop Store Blog every Monday and Friday leading up to the Live Auction to get more exclusive sneak peeks of what’s to come in one of Europe’s largest and most exciting film and TV memorabilia auctions.